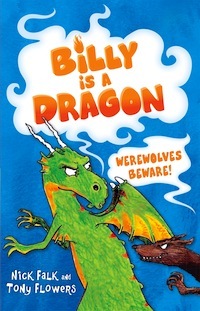 Jacinta Dimase Management - Literary Agent: Billy is a Dragon 2: Werewolves Beware! Billy is in serious trouble. He’s struggling with his shapeshifting lessons, there’s a werewolf out to get him and he’s got the school soccer trials tomorrow. His best friend Jeanie is there to help, but how do you catch a werewolf when you don’t know who it is? In a world where shop owners can turn into hamsters and teachers are trying to eat you, who can a ten-year-old were-dragon trust?